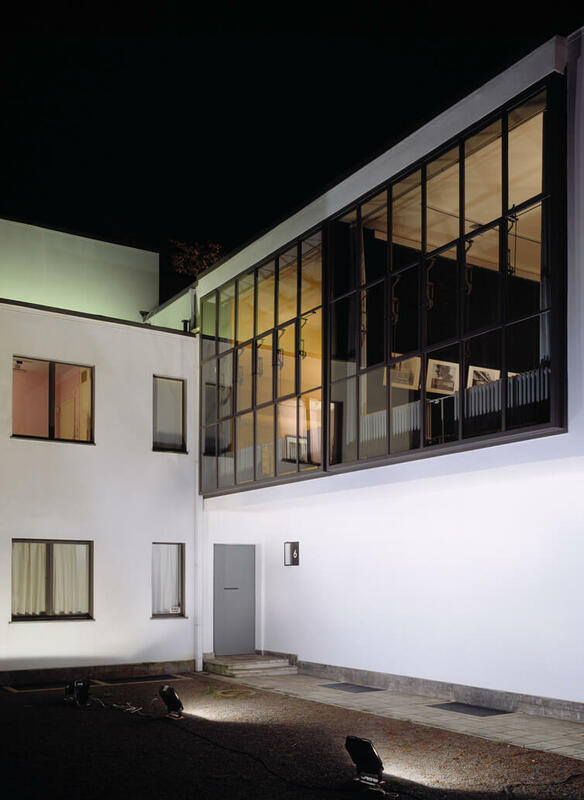 The residential houses built by Walter Gropius in 1925-26 for the Bauhaus teachers in Dessau are icons of architectural history which, inside and out, follow the principles espoused at Bauhaus. 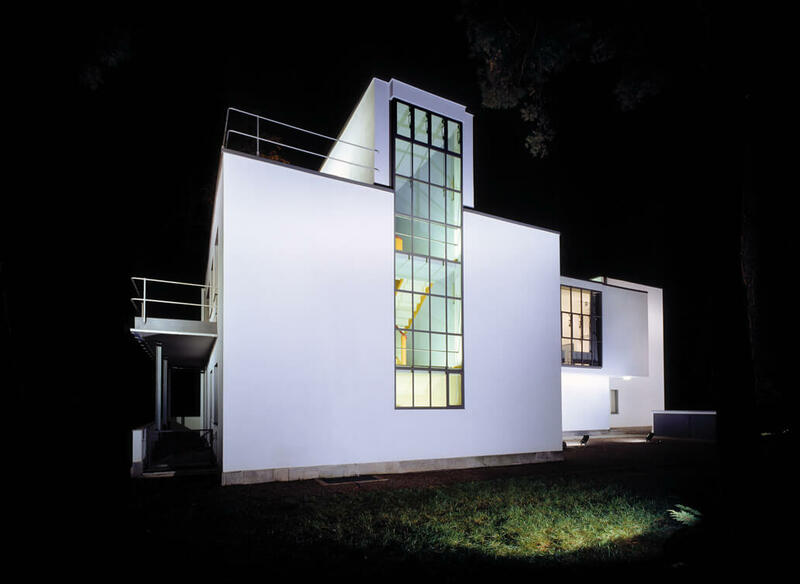 The houses consist of inter-nested cubes of differing heights, while the stairwells and ateliers are generously glassed. 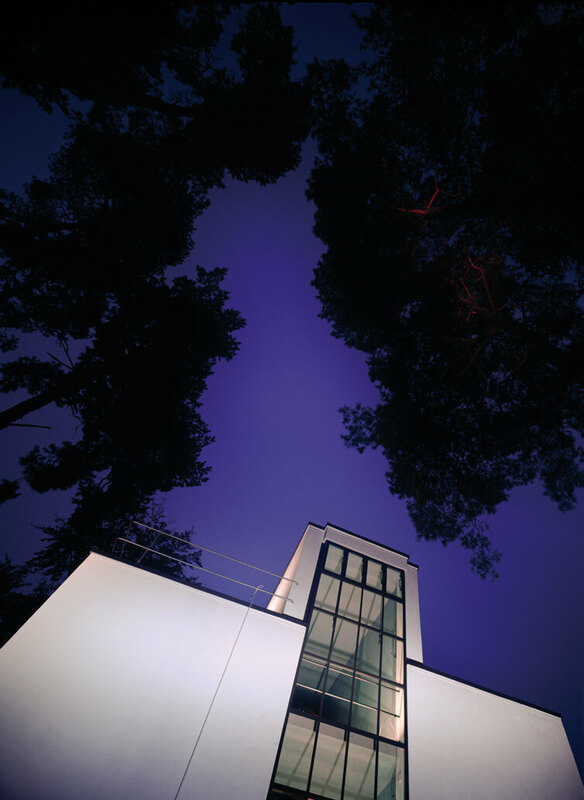 In 2001, Thomas Emde created a temporary light installation that was characterized by a sensitive and respectful approach to the world-famous architecture: thanks to the expansive, general lighting of the cubes and the light shining inside-out through the glass elements, the main characteristics of the architecture — physicality and transparency — came to the forefront.